Nintendo of America has announced a Super Smash Bros. Ultimate Special Edition bundle similar to that planned for the mascot brawler in Europe. 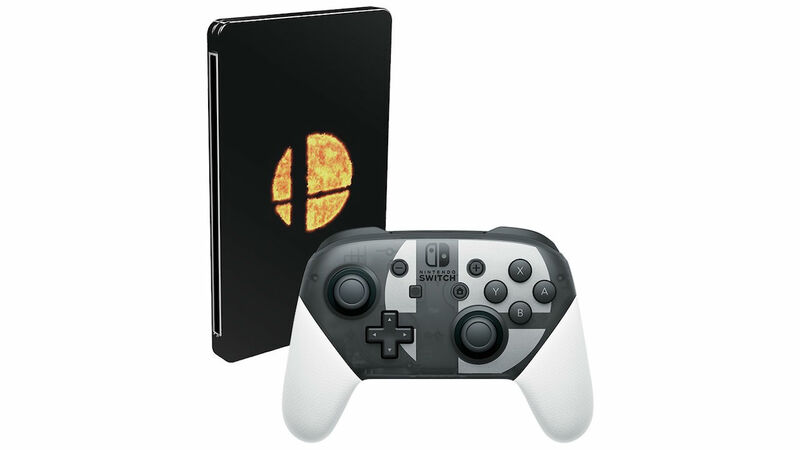 This will include a physical copy of the Nintendo Switch exclusive, a SteelBook case with the fiery Super Smash Bros. logo and the Nintendo Switch Pro Controller Super Smash Bros. Ultimate Edition. The Nintendo Switch Pro Controller Super Smash Bros. Ultimate Edition will also be available separately at launch, priced at $74.99. The Super Smash Bros. Ultimate Special Edition bundle will release in North America on December 7th priced at $139.99, and is now available to pre-order at Best Buy and GameStop.